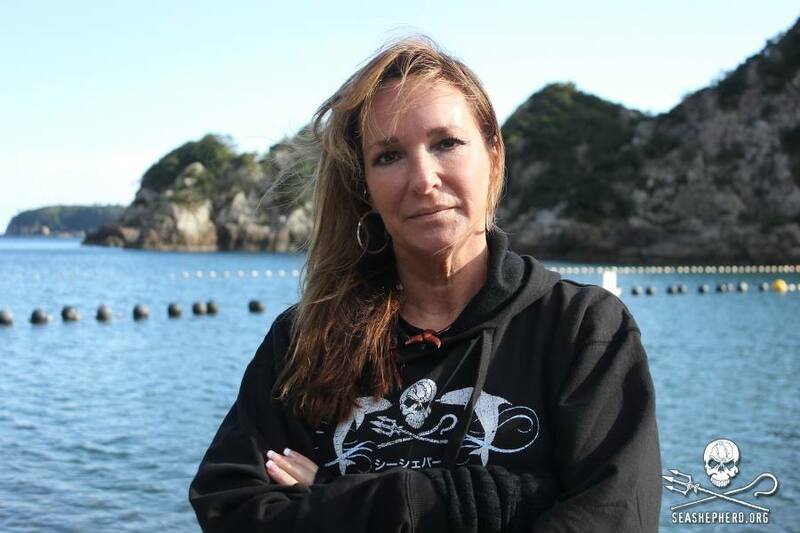 Sea Shepherd veteran crew member Karen Hagen of Norway has been denied entry into Japan to document the brutal capture and slaughter of dolphins and small whales in Taiji as Ground Leader of Sea Shepherd’s Operation Henkaku campaign, previously referred to as Operation Infinite Patience. On August 27, Hagen was detained by Japanese Immigration upon arrival in Fukuoka, Japan by ferry from Busan, South Korea. After being interrogated for nearly two hours and held for more than six hours, she was refused entry into the country and deported to South Korea. Hagen’s passport was taken and she was refused a phone call unless she identified the person she was calling and made the call on speaker phone in the presence of a Japanese translator. Initially, Immigration officials stated that entry was being denied because Hagen had a tourist visa and was not in the country for tourism. Upon being asked why taking photos did not qualify as tourism, officials changed their reason, stating that she did not have a return flight home. When Hagen showed her return ferry ticket, they then stated that last year she wrote that she would be staying in Japan for two weeks but stayed for two and a half months. She then pointed out that she had extended her stay, which is legal, and at that time no further reasons were given as to why she was being denied. On August 30, Sea Shepherd veteran crew member Linda Trapp of the USA has been denied entry into Japan. Trapp was detained by Japanese Immigration upon arrival in Osaka, Japan. 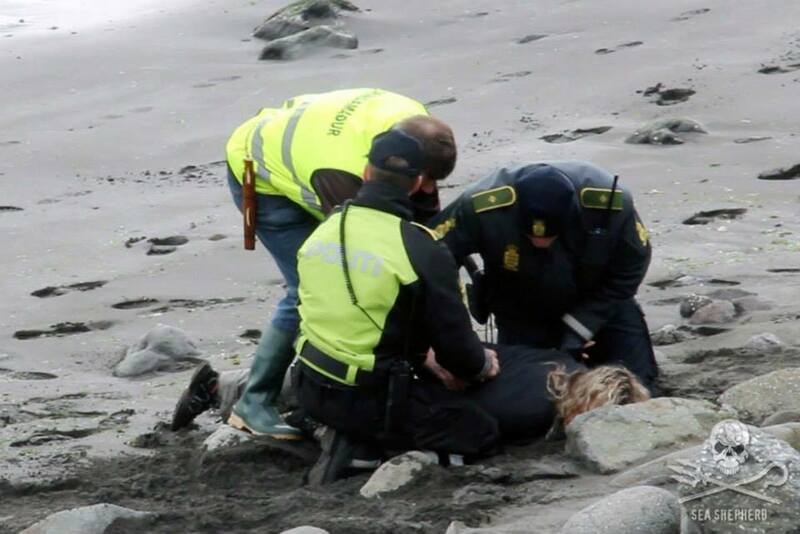 After being interrogated for nearly five hours, she was refused entry into the country. Japanese Immigration officials said the reason she was denied entry is that her activities are not consistent with those that fall under Japan’s “tourism clause.” Trapp, 56, is a two-year veteran Sea Shepherd crew member and a respected retired homicide detective with the Washington County Sheriff Department in Oregon, USA. 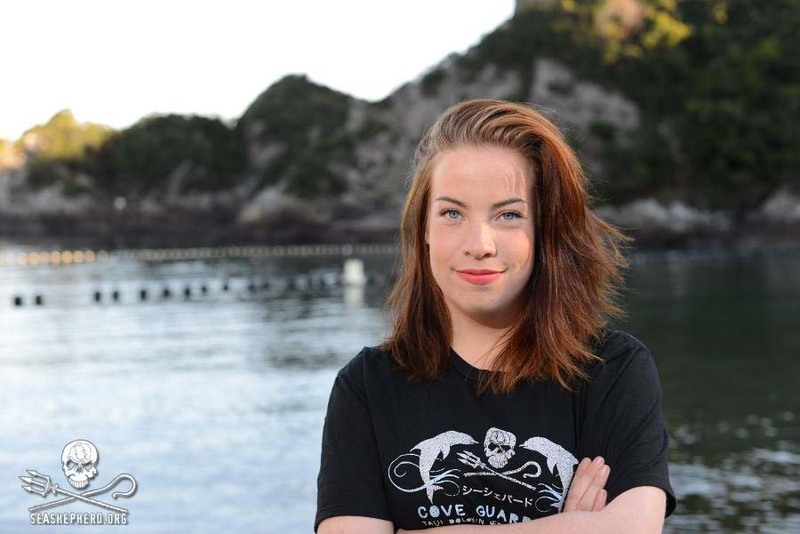 This is not the first time a Sea Shepherd volunteer has been refused entry to Japan; several returning Cove Guardians were detained and sent home upon their arrival to the country last season. In December 2014, then Senior Cove Guardian Campaign Leader Melissa Sehgal was interrogated for nearly nine hours and detained for 24 hours before being escorted onto a flight out of Japan. No reason has been given for the denials, but Japan has claimed that the volunteers arriving with tourist visas are not tourists. 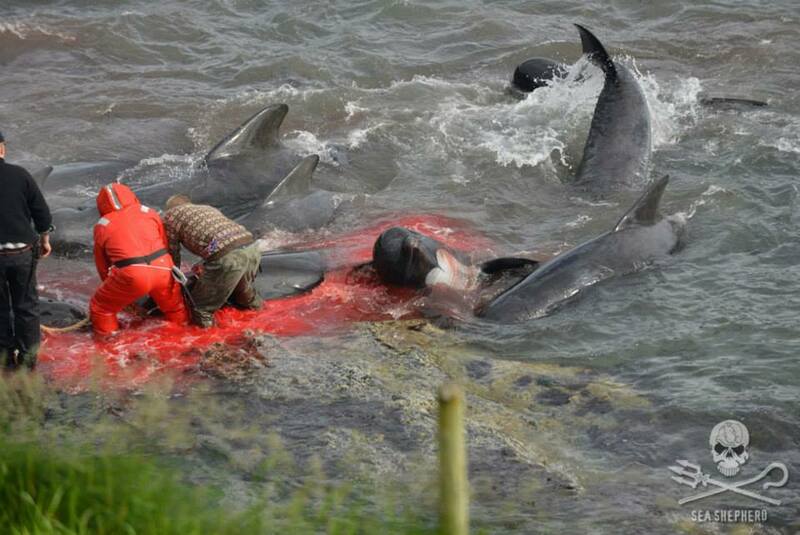 This pattern of entry denials is not unexpected, as Japan will go to great lengths to try and hide the bloodshed suffered by dolphins in the cove from the world. 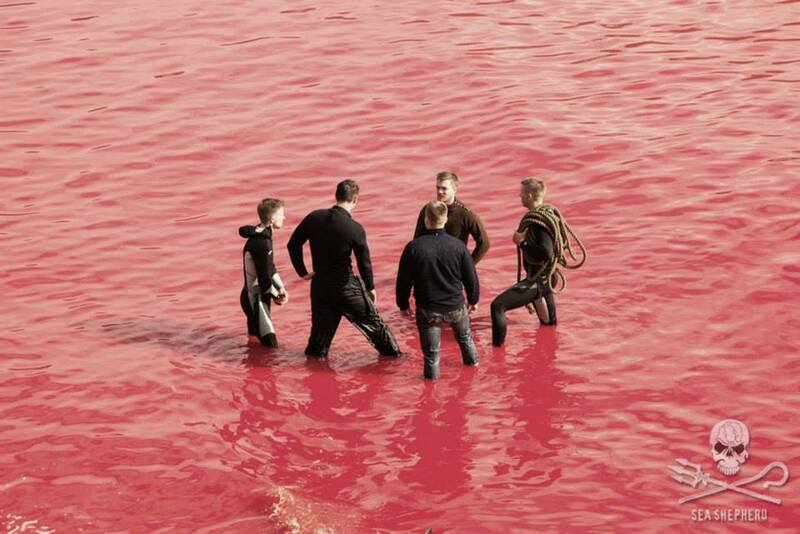 Furthermore, the denials are evidence that Japan knows Sea Shepherd has been effective in exposing these atrocities to the world. 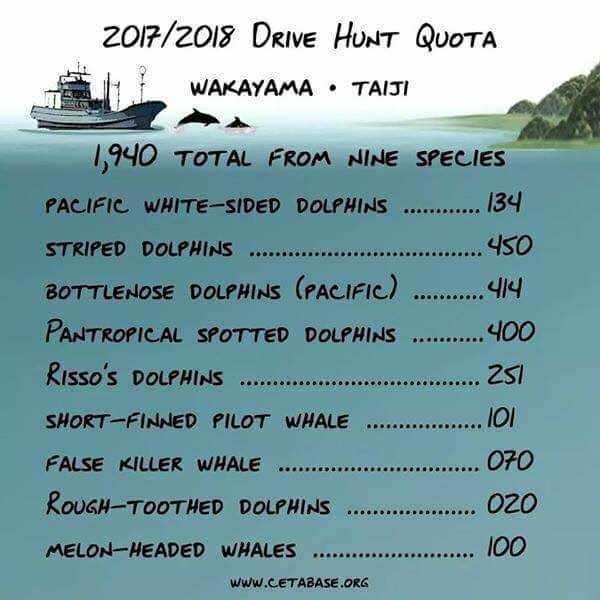 The 2015/2016 Dolphin drive hunt and slaughter officially began on September 1 and thanks to heavy rain and winds we have experiences two Blue Cove Days so far this season! Being in Taiji has an incredible effect on you. At times it’s hard to describe the emotions you feel and sometimes I’m certain the only people that truly understand the lasting effect of being in Taiji, are my fellow Cove Guardians. It is still one of the best things of done, one of my proudest moments and I would do it all over again in a heartbeat. When I first arrived home from Taiji the first thing I did was sleep for almost 18 hours straight! Perhaps from the long travel time it took to actually get home .. I’ve never been one to sleep on airplanes! But more so because it was incredibly hard to go back to your hotel room every night in Taiji and attempt to shut off your mind. You have early mornings, which I’m used to being a morning person, You also have long days, depending on how fast or short the drive hunt is. But at the end of the day the horrific scenes and atrocities you witness seem to replay on a continuous loop in your mind. 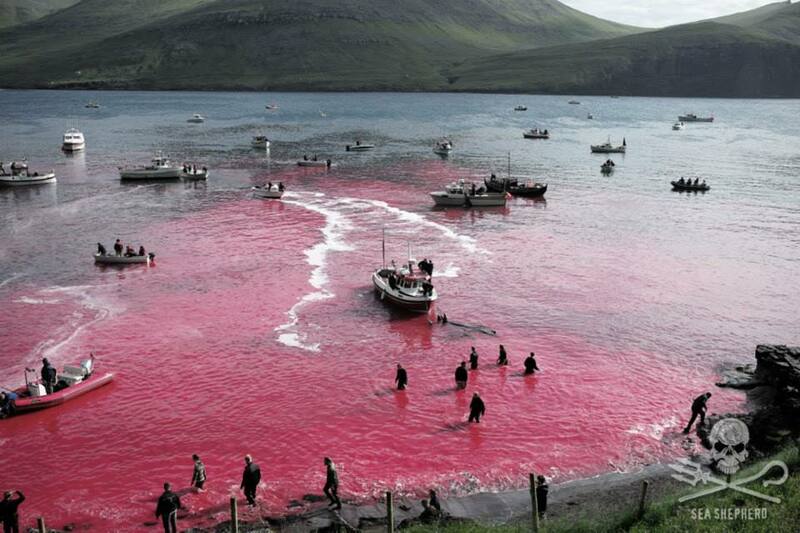 The dreadful scenes at the Cove are not something that can simply be unseen at the end of the day. Not to mention that after witnessing a slaughter or live capture you need to go through all of the images you shot that day and pick the best (i.e., the images showing the atrocious scenes of the day) so they can be posted to social media. 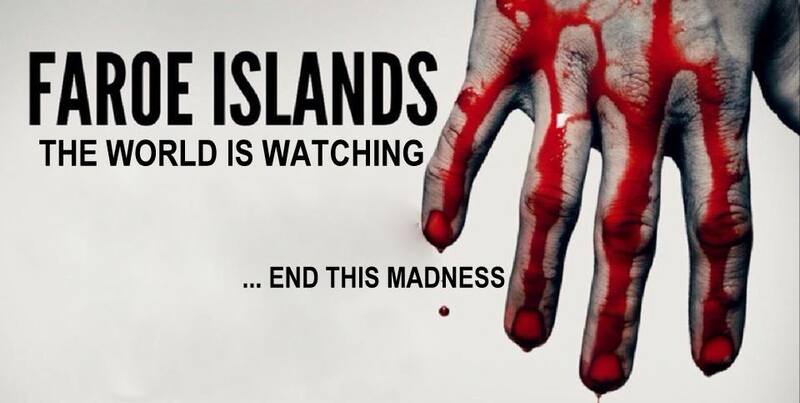 For me I have to say its not just the images in my mind but it’s also the sounds you hear – the banger poles, the killers yelling & laughing, the screams of the dolphins fighting for their lives and the sound of a dolphin taking it’s last breathe before the eerie silence that tells you the slaughter is complete. Once I was home I was eager to start posting on my blog and it seemed as though I had many things to say and share about my time in Taiji. It was easy to write about my experiences of the blue cove days to the red cove days to monitoring the captives at Dolphin Base and the Taiji Harbour Pens as well. It was not hard to come up with blog posts and the words sometimes seem to simply write themselves. After that, it was as if I didn’t know what to say or perhaps ran out of things to say, essentially the tap ran dry and the words were not flowing as they did before. So I decided to take a step back for awhile – maybe longer that I anticipated. Now another dolphin hunting season in Taiji is about to come to an end and I am finally writing my first post in over in a year. 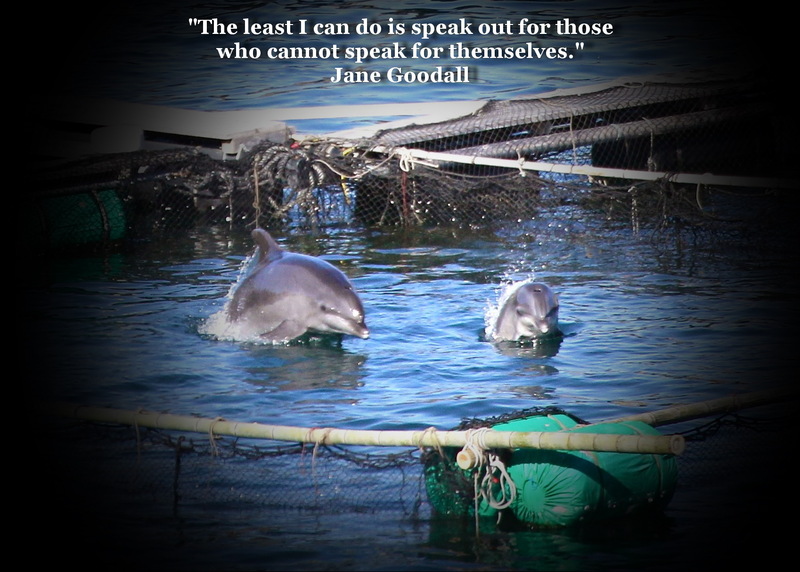 I still follow the Cove Guardian campaign throughout the season – posting and sharing updates on Twitter and Facebook. I talk about the Cove Guardian campaign every chance I get and my two copies of the Cove documentary are passed out frequently to friends, family and staff members. I even wear my Cove Guardian t-shirt every Friday, as we do casual Fridays at my office and I like to refer to them as Cove Guardian Fridays! 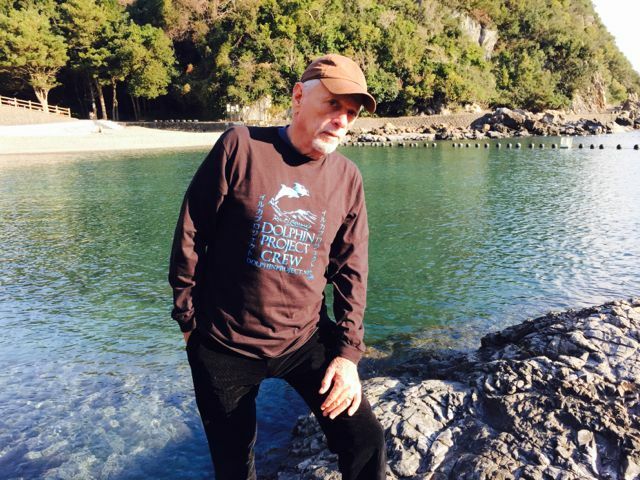 After almost two years of Cove Guardian Fridays I finally had a patient ask me where I got my shirt and he was surprised to find out that I had made the trip to Taiji to join the Cove Guardians. 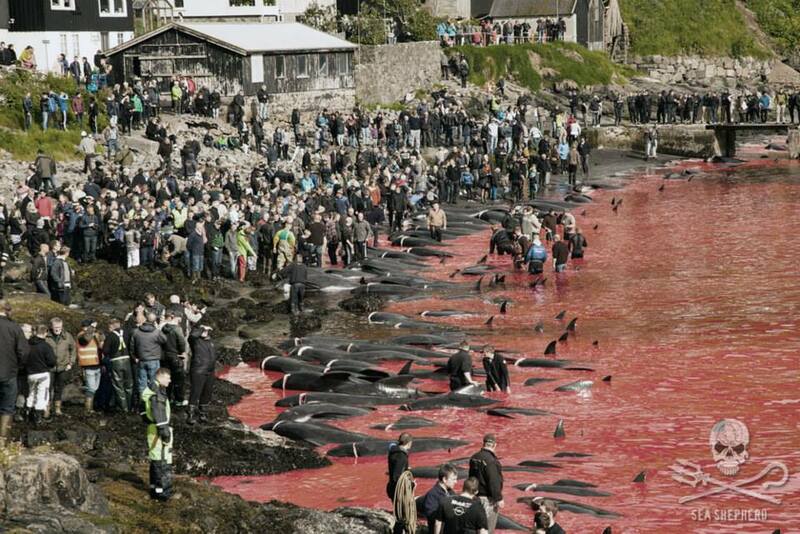 Now the the words seem to be flowing and I once again find myself with the eagerness to write and continue informing people on the continuous atrocities that still happen at the cove. 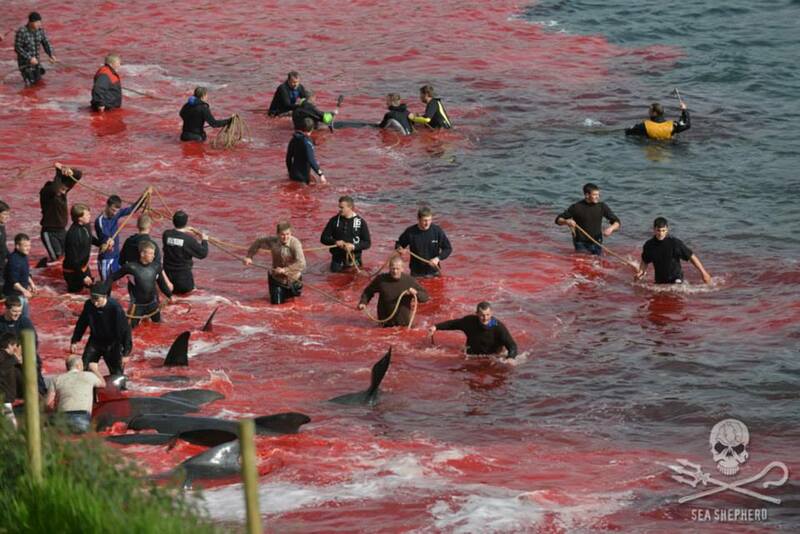 The fact that marine parks, Sea World and swim with the dolphin programs fuel the dolphin drive hunts every year. In the end some people may turn a blind eye to what continues to happen in Taiji, while others will continue to stand watch at the Cove and those people are the dedicated volunteers from all over the world who volunteer their time to join the Cove Guardians. 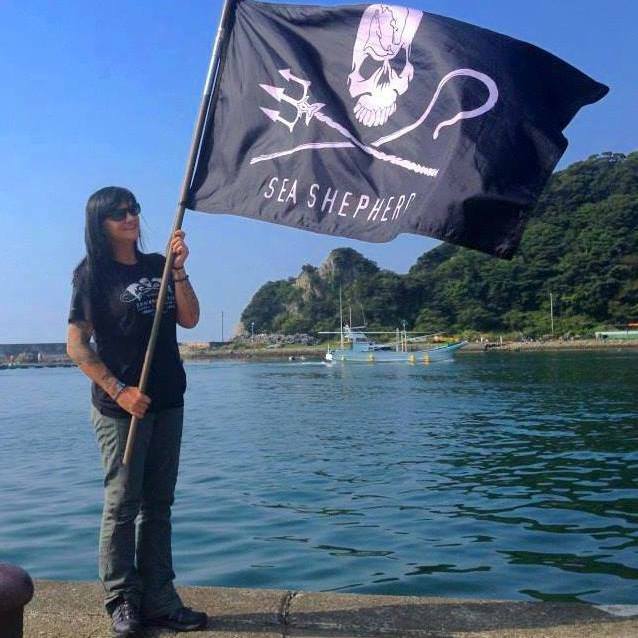 Melissa Seghal and her Sea Shepherd Cove Guardian team highlight the daily atrocities that occur against much beloved, intelligent and social dolphins in Taiji, Japan for six months of each year.